ACCOMODATION Tents - 2 nights, 1 Night Private House. 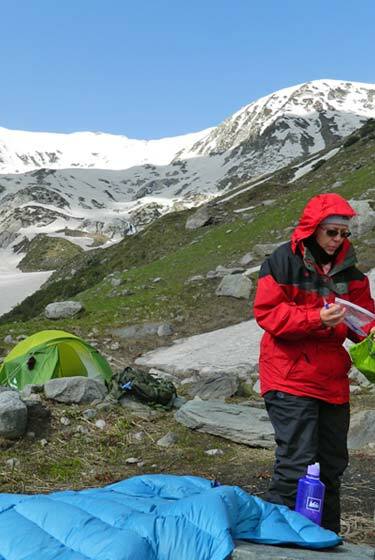 The Indrahaar pass Trek starts from Mcleodganj in Dharamshala and passes through the popular camping ground of Triund, the Laka Got, and the Lahesh Caves. 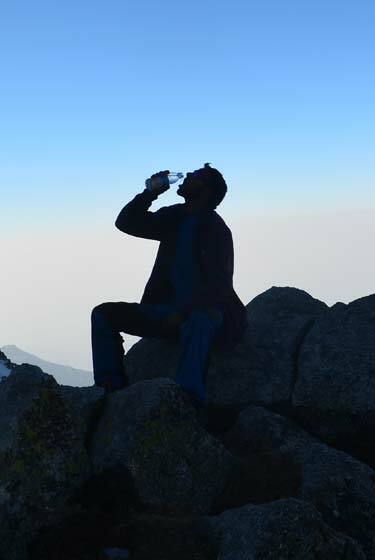 McLeod ganj to Indrahaar Pass trek via Triund is a low-moderate difficulty trek. This trek follows one of the more established trails used by the Gaddi shepherds enroot their summer grazing pastures in the upper Raavi Valley and Lauhal. 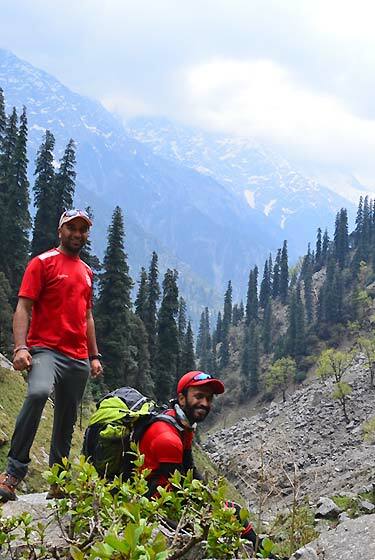 Whatever difficulty this trek throws your way, the spectacular views more than compensate for it. 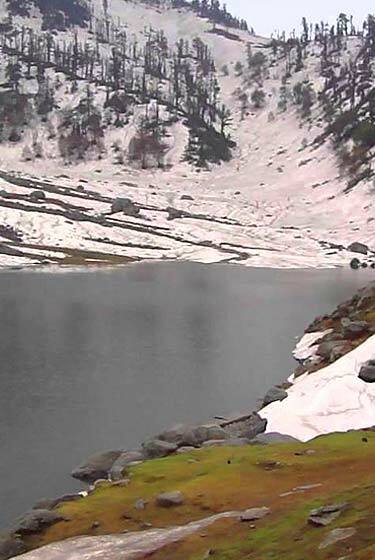 To the south there are mesmerizing views of the Indian plains; to the north is the sacred peak of Mani Mahesh Kailash and the snow capped Pir Panjal Range. The trek goes through mixed forest of oak, rhododendron and deodar tress. First two kilometer is a steep ascent but there is a gradual ascent after Galu Devi Temple. The last 1 kilometer is again a steep ascent through the forest. Triund is a flat meadow on top of a ridge. From here panoramic view of Dhauladhar range on one side and Kangra valley on other is a memorable sight. Night saty at tents or private houses. This is an acclimatization day. After a short ascent from Triund traverse a ridge to reach Laka Got a temporary shepherd camp. Laka Got is situated at the snout of small glacier, which is full of snow and ice in early summer, and the snow melts away during the monsoon. From Laka Got it is a sleep ascent for 2 km. Over rocky ridge to reach Lahesh cave. Night stay in the cave of camp at Laka Got. Start early in the morning, the weather gets bad in the afternoon. In early summer April to may the trail is full of snow and require good equipment. During post monsoon Sept. to Nov. There is no snow or ice and there is narrow trail going up to the pass. It takes about three hours to the pass and another three hours to come down. From the pass entire Pir Panjal range of central Himalayas is a sight to behold. Back to Laka Got or Khabrotu for night saty. Follow the same route on the way back or a different one from Triund going over a grassy meadow and descend down to Bhagsu Nag and then to Mcleodganj. For travel to Mcleod ganj and back one can choose between air, rail & road. For air travel, the closest airport is the Gaggal DHM, also known as Kangra Airport, or Dharamshala Airport and is well connected to Delhi and other parts of the country by Kingfisher Red. There are frequent Public Transport buses including Volvos available from Delhi to Mcleodganj that cost about Rs. 550 - 900 per person. These buses depart from Majnu ka tilla every 30 mins. or so and take about 12 hrs to cover the distance. The same is also applicable on the return journey. A private vehicle could also be arranged for if you require the same. Summer in Mcleod ganj extends from March to June when the temperature variation is recorded to be ranging between 23°c and 27°c. Mercury sometimes reaches up to 38°c but never goes beyond that. During winters the temperature can drop to -1° and the maximum temperature hardly goes up to 20°c.